After the terrific success of Shift (downloaded more than 1,400,000 times), we are now proud to release our next new game called Minim on the App Store. Developed in close collaboration with Atomic Cicada, Minim is a port of the original puzzle flash game they created. But how original is this game you may ask? Well most games offer you to get more and more, in Minim you start with more but end with less. It is your time to get a chance to play with a chemistry set and your goal is to obliterate molecules by combining connected atoms, reducing the subatomic matter to a single particle. Minim is compatible with the iPhone and iPod Touch, and requires iPhone OS 3.0. A free version of the game is available on the App Store and features the 5 first levels. The full version offers you 50 levels (and more to come in a future update) and can be purchased on the App Store for 1.99$/1.59€. 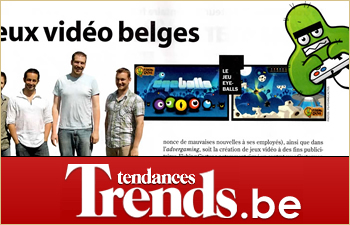 Last month we got interviewed by Trends Tendances, a Belgian business oriented magazine. If you like, you can read the full interview here. We are proud to showcase Fishing Cactus’ very first fan art courtesy of Olivier Drouet. Thanks again for having helped us getting some more color on our office walls. Do you have an exceptional Fishing Cactus (or Root Beer)-related artwork you wanna share with the world? Feel free to send it to fan (AT) fishingcactus (DOT) com. 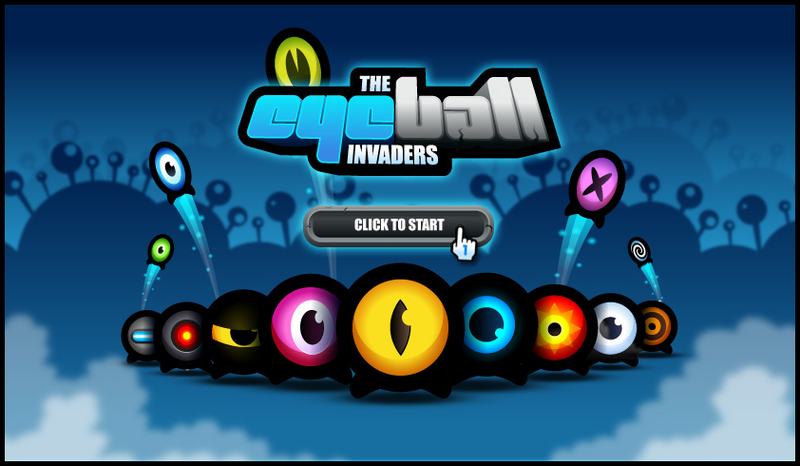 Production has started on our new game and we’re finally ready to share some initial info on project “Eyeballs”! No doubt you’ve already seen the artwork on our projects page (you did right?). Those Eye-shaped characters are going to be the stars of a new a fast-paced multiplayer action/platform game coming to Wiiware! The game is being developed in collaboration with Michael Heald of Fully Illustrated, who has already done an amazing work on our website. This should say a lot about the art quality and character style you can expect! We could say we’re aiming for a Wiiware winter release, but we reckon that announcing a vague “when it’s done” release date is a lot cooler so, let’s go for it! Codename: Eyeballs! On Wiiware! When it’s done! Today we installed the company’s banner on our office front door. 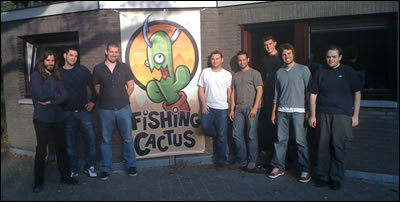 It is unusual enough to take a picture of all Fishing Cactus staff. 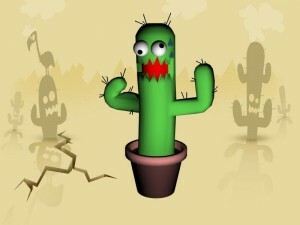 We are currently deploying our own web store and soon you’ll be able to buy some really cool Fishing Cactus stuff. Amongst the different goodies you’ll be able to find on the store, there are shoes, skate boards and tons of other extra quality stuff directly coming and designed on Zazzle. 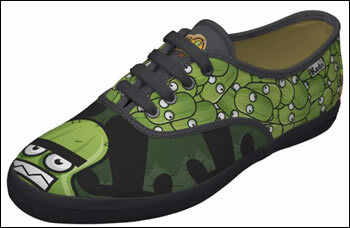 To give you an idea of what will be available, just take a look at the following shoes, don’t they look AWESOME? Shift has been featured as one of the best 50 iphone / ipod touch games in the famous gaming magazine EDGE. I take the opportunity of this post to remind you that we made a big and free update on the game adding several brand new levels. The blog theme is now back on track! To give you some news about what we are doing at the moment, we are currently finsihing a new iPhone game and are working on two others. We will start soon talking about a brand new game we are working on so stay tuned! This week-end, our blog has been attacked and hacked. Fortunately, the site is backed up every day. But unfortunately, our theme was not !! We are working on restoring it asap. We got interviewed by the Belgian gaming website 9Lives. The interview is in Dutch and for those you can read it, the article can be found here. We kept the initial interview in English for you to read.